On many levels, the DIY approach is undeniably great when it comes to tackling house remodeling projects. There are many homeowners and property managers who routinely try to take on these complex and time-consuming projects. Sometimes, not only do these tasks take their time, but also effort and money and yet the results are not like what they expect. That is to say, whether you agree or not, these kinds of tasks are better left to specialists and contractors as they are professionals. No matter whether it is wall removal, floor installation or window replacement, the do-it-yourself strategy doesn’t always work. You need professional contractors to handle complex tasks, such as repair issues, maintenance and buyers complaints, especially if you are a property manager. Hiring residential contractors, in this regard, is the panacea to all your house remodeling problems. Hiring them not only saves your money, but is also highly rewarding in terms of impeccable work. These people are professionals and are trained to handle almost all home remodeling tasks, regardless of how complex they are. 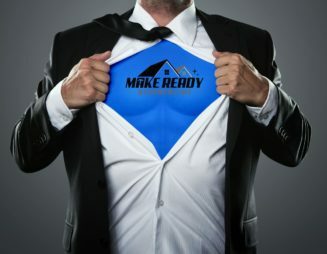 If you are still unsure whether you should hire a residential contractor or not, reading this blog will help you make an informed decision. A lot of homeowners and property managers consider that contractors don’t do anything except schedule trade people, which is not the case. Whether you are a startup or an experienced property manager, you cannot beat a professional contractor in terms of experience. That means a residential contractor has plenty of experience that is definitely hard-won. Instead of wasting your time and money finding and hiring people to do your house remodeling tasks, you can benefit from the invaluable experience of a contractor. Keep in mind that right connections come with experience. Residential contractors operate within a large social network of professionals that property owners are not part of. If you have ever visited a permit office, you will have an idea of how complicated it is to even meet officials there. However, if a regulator or a contractor visits, things work differently. The point is that contractors speak the same language as these officials and know strategies to tackle back-room dealing. This goodwill between trade people and contractors can help you reach the right people and leverage them for your project. Managing time during remodeling tasks is extremely important. No matter whether the project is small or large, it may become nerve-wracking when there is a deadline to meet. A residential contractor has professional skills to handle the pressure when it comes to repairing or remodeling properties within tightly-scheduled timelines. What can be better than hiring a professional who knows how to organize, handle and maintain renovation tasks? Thus, a residential contractor is definitely a reliable option for your home remodeling job.